If you forget your site password, rather than going through the reset password hassle here’s how to show hidden passwords with a simple HTML browser tip. Almost all browsers hide the password field with asterisks for security purposes. Having your browser save them saves you the hassle of remembering them all. But if your password wasn’t saved for some reason, and you have a complex passcode, it’s nice to be able to see what’s behind the curtain. 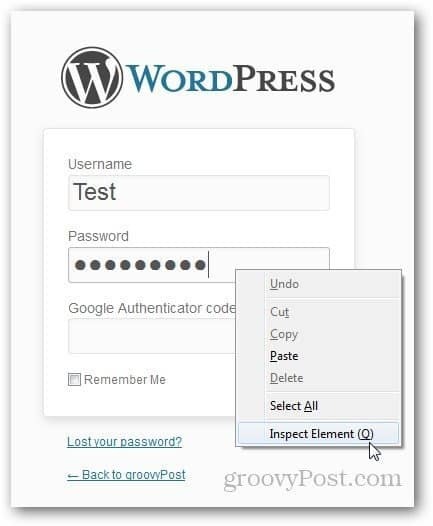 Open any website where you have your password saved, right click on the password field and go to Inspect Element. 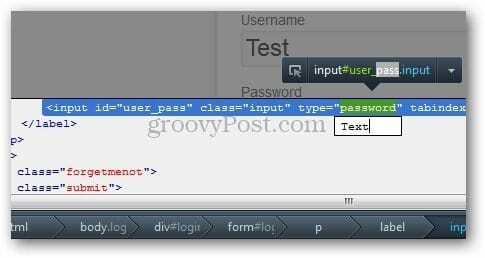 When the HTML Editor opens, look for input type = “password” field and change “password” to “text” and press Enter to save. 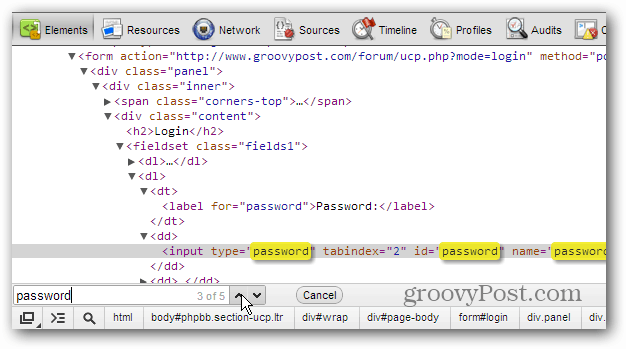 An easy way to find that line of code is hit Ctrl + F and type: password in the search field and arrow to it. The process is virtually the same. 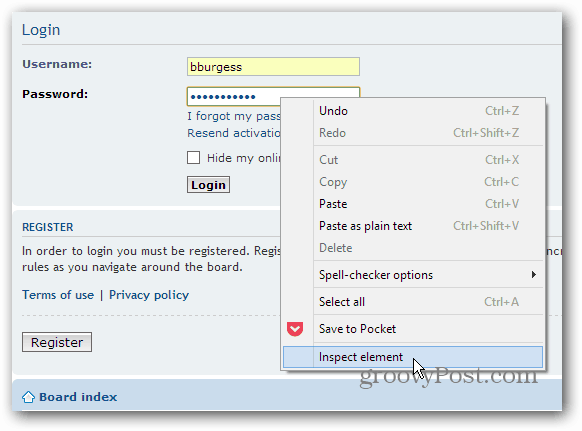 Right-click the password field and click Inspect Element. 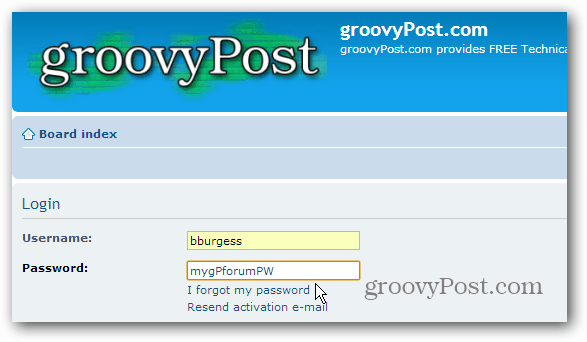 A gray bar will appear with the password field highlighted. 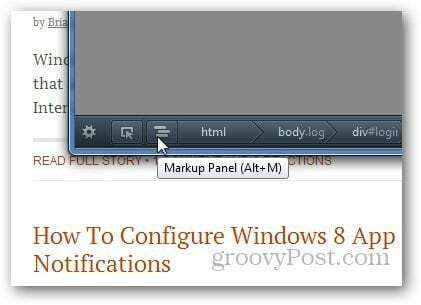 Press Alt+M or click on the icon shown below to open the Markup Panel. Do remember to change the type back to password, especially if you have multiple users on your computer. This may be handy to know. However Firefox will tell you the passwords under the options menu. It would be worth noting that in IE 9 this is also possible using the developer tools that are now built into IE. Doesn’t this make you more vulnerble to hacks? Can’t anyone then find out your password? I am not tech savvy, so maybe I am missing something here. someone who has access to your computer, yes. really great sir… I attempted and my password was revealed in crome browser. Thank you very much Sir.This is really helpful. Find the keyboard shortcut. I don’t know it, but the web does. Is there a similar trick for Edge? If the device is Tab then how can we do these above operations?? is this possible in touchscreen devices?? If yes give the solution to me please. From what I know there is no element view in any Android or tablet-based browser.